Ace Tennis is a tennis academy teaching more than 500 players in 5 clubs in Mauritius. Our team of international coaches train beginners to experienced players in tennis school and high level players who are members our academy. Training program for children between 3 to 5 years old: the first step in the sports world with Tennis. In the process of learning the children interact and discover how to use child friendly equipment to be in a lively dynamic and fun lovely pedagogy. During their mastering experience they will assimilate a series of games which coach them how to move, deduce the ball trajectories and the proper way to hit the balls. The mini-tennis is a teaching concept based on a playful and preparatory approach to tennis which is most suitable for children between 5 to 8 years old. Motor Skills Development (15 minutes): Coordination exercises, synchronization and shots. In which the child plays with the different scenarios. Technical workshop (15 minutes): Practice of tennis match with the coach or a partner together with learning the rules of tennis. Class cool-down (5 minutes): Debrief on the best swings of the session, techniques and seeing the children socializing together. This program target youngsters and adults who wish to discover or to grab perfection in tennis. There are different ages groups and levels of game. The coach alternates the teaching of technique and tactics for more fun to have quick sensations of the real game. A fitness training with racket is undertaken by the coach on the tennis court to accelerate the progression. Class warming up (10 minutes): Discussion to fix the objectives of the session. Physical warming up theme wise. Technical & Tactics workshop (20 – 25 minutes): To learn and to have a perfect swing. Improving your techniques in favor of your tactic. Practice match (15 -20 minutes): Develop yours skills in real situation of points and match under the supervision of the coach. Class cool-down (5 minutes): debriefing about areas for improvement and goals to achieve. 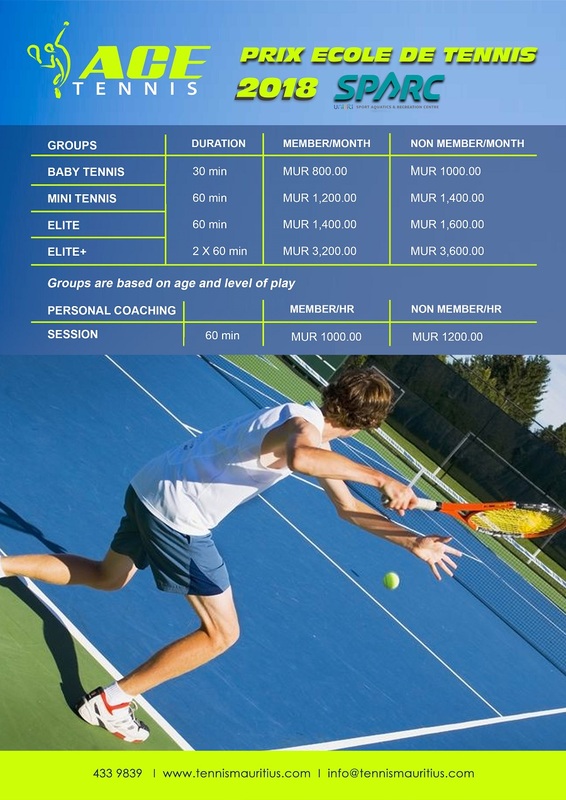 You can reserve the timeslots of your choice for your tennis training, based on the availability of Ace Tennis coaches. You can even personalize your session as you wish. (Minimum duration of 30 minutes per session).